I don't know what it is that the spirit inside Space Mountain actually does around Halloween, but it certainly has infected the ride. At night, the symptoms present themselves in a loud cacophony of piercing booms and echoing bursts, while a murky and amorphous palette of color seeps across the roof of the structure, tracing the infection. It's a creepy scene, to be sure, although it certainly gives the long lines something to look at. For Disney, this is edgy. The ride can be legitimately frightening to those who are used to more tame attractions. But the crowds seem to love it, and come Halloween Time, Space Mountain always has increased wait times. Ghost Galaxy is a hit, and I suppose like all Halloween fans, I wish it would continue to stick around and haunt us all a little longer. Here's to a safe and spooky October 31st to all of my blog readers! Happy Halloween! 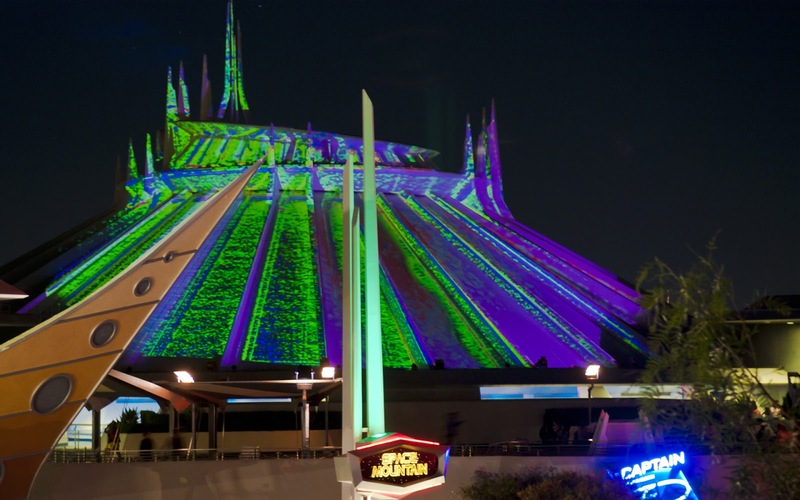 Eerie Space Mountain Ghost Galaxy at night, with its spooky projections. 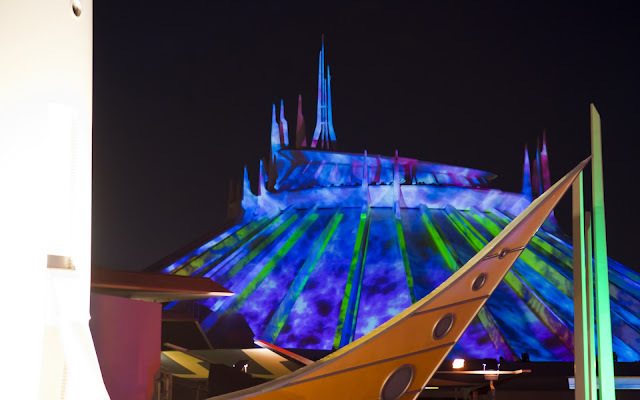 Space Mountain Ghost Galaxy is certainly a prominent force in Tomorrowland!